We’re here to help you find the AMORPH.aero solution most suitable for you! Talking with us will help you define your goals and see what is really required. Please fill out the form below and we will get in touch with you shortly to set up a convenient time to talk. Join AMORPH.aero and grow your business. Amorph Systems products are developed with the agile method, directly alongside players in airport management, making them immediately functional and tailored to requirements. Nantes Airport is pleased to have chosen Amorph Systems to further improve its capacity for forecasting and simulating its resource requirements. AMORPH.aero Planning Studio has proven to be a very capable and versatile simulation tool. The Amorph team keeps on developing its functionality based on our customer feedback. The implementation of AMORPH.aero has been a very ambitious journey with the purpose of building us a capability to see into the near and more distant future, and utilize this capability for better capacity planning, resource allocation, terminal operation and more relevant passenger communication. To fulfill these expectations across multiple dimensions would not have been possible without the committed and highly talented Amorph team, with whom we had the privilege to work with. Now, we have a strong solution running, with a truly inspiring roadmap that will hopefully take the Helsinki Airport experience to new and unseen heights. This is a mission critical system that plays a vital role for the daily operational activities at Frankfurt Airport. A large number of users from various departments are relying on it for controlling their daily terminal operations. During the 2013 Summer season, with the highest passenger counts in Frankfurt Airport’s history, the peak days would not have been manageable without the continuously updating passenger flow online forecasts for all the process points. The project has received funding from the European Union’s Horizon 2020 research and innovation program under grant agreement No. 731246. Get the most out of your terminal. Deviation in passenger numbers or the terminal layout, technology changes or process adaptations, the base conditions of an airport environment are permanently changing. All these changes impact the overall terminal capacity. In order to identify bottlenecks, AMORPH.aero offers an easy, fast and flexible way for airport and PAX flow modeling, scenario evaluation and capacity analysis. Starting with the creation of an airport model, a PAX flow model is developed. By simulating passenger flows within the airport and applying different simulation scenarios the terminal capacity can be optimized. Airport resources can be planned for most efficient usage. AMORPH.aero Planning Studio provides comprehensive features dedicated for the development of airport models and to perform passenger flow simulations in airport facilities. Models built up in AMORPH.aero Planning Studio can be shared later by other AMORPH.aero Feature Modules like e.g. AMORPH.aero Flow Planner and AMORPH.aero Flow Operations. AMORPH.aero Planning Studio is also available as a low- footprint standalone application to perform offline passenger flow simulations for resource and capacity planning. 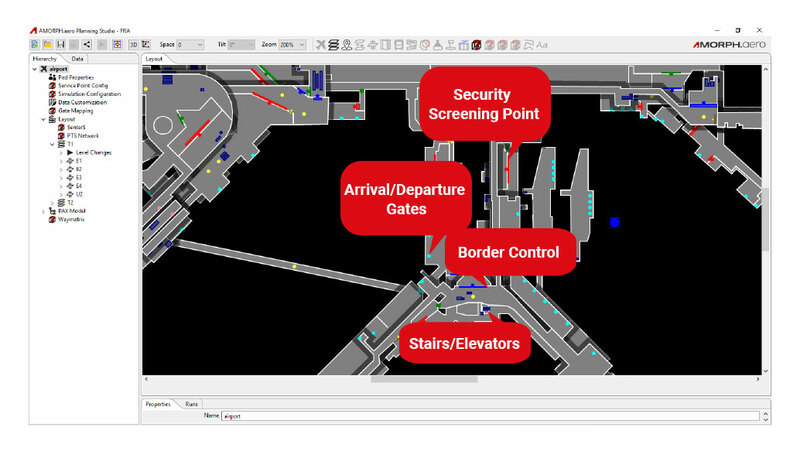 Flow Planner is a powerful module based on a planning solution for terminal resources such as staff for check-in, security and border control. Based on the AMORPH.aero simulation engine, Flow Planner predicts the required amount of staff depending on agreed Service-Level-Agreements or determines potential queue times resulting from staff availability. With Flow Planner end-users are highly flexible in using various data sources, either uploaded or connected automatically. 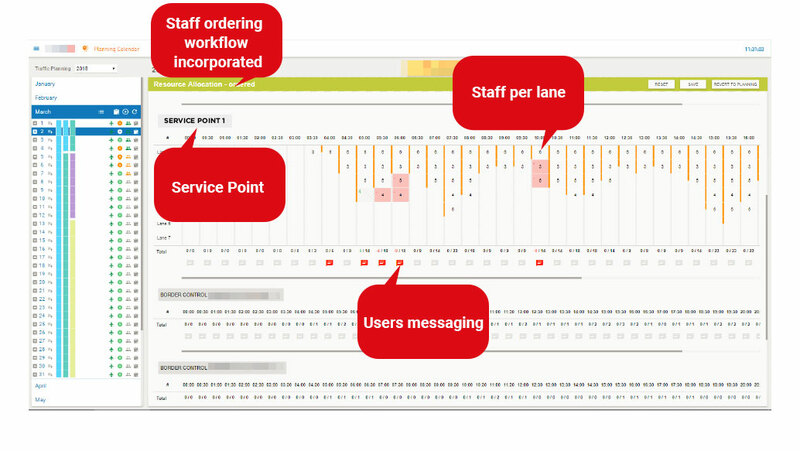 Flow planner comes with custom interfaces to incorporate data such as flight schedules from SITA-AMS6. Flow Operations contains features of the platform which are supporting the business processes in an Operations Center of an airport. Having the AMORPH.aero simulation engine at the core, Flow Operations uses the predictions in order to foresee upcoming queues based on live flight schedules, actual passenger numbers or real transfer figures. Real time KPIs based on the systems with which it is integrated. 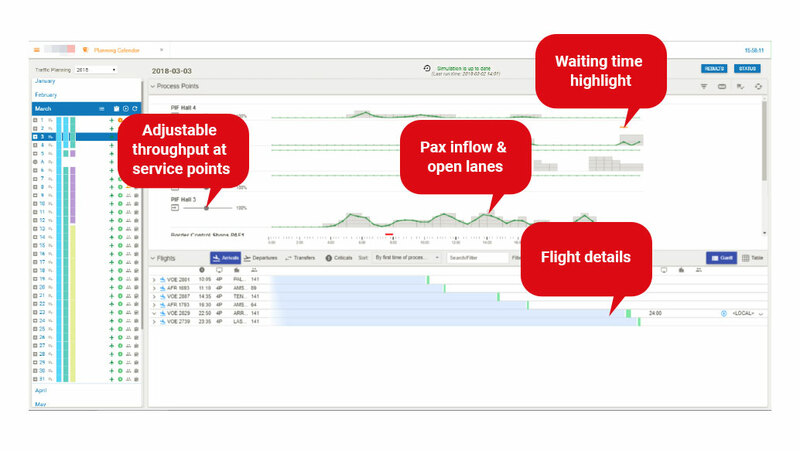 Flow Operations can provide passenger number forecasts when live data is missing. Based on the historical data from the airport and machine learning algorithms, accurate predictions can be used when live data is unavailable. Traffic Forecaster represents features of the platform that handle long time forecasting. 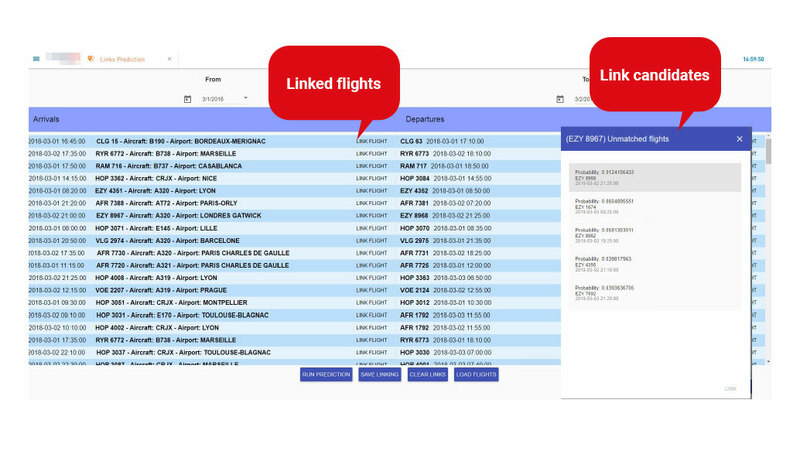 Flight Link Predictor is a versatile tool for creating reliable stand allocation planning. Predicting the link between Inbound & Outbound flights through historical link behavior, turnaround times can be analyzed to plan the corresponding ground handling staff & equipment. Possibility to integrate with an airport AODB so that the predicted links can be pushed from Link Predictor to the AODB. Plan turnaround procedures accurately with reliable forecast of flight links. The connection between Inbound & Outbound flights is an essential information to plan turnaround procedures. This information is not always provided accurately by airlines flying at your airport. In turn this complicates the further planning. With AMORPH.aero Flight Link Predictor, Amorph Systems created a tool to forecast the flight links and thereby to create a basis for the next planning steps ahead. By analyzing historical data AMORPH.aero Flight Link Predictor creates links between flights and creates the basis for further planning. Without a reliable information, ground handling and passenger processes can´t be managed. We help fill the blanks in the schedule. Perfectly balance your airport‘s staff with precise forecasts. Staff for securities and other check-points are one of the highest expenditures with the biggest impact on the passenger flow at airports. The best balance of staff is needed to achieve your Service Level Agreements without oversizing. Accurate forecasts are fundamental to achieve this. AMORPH.aero covers therefore all required forecast horizons from seasonal to operational! AMORPH.aero Flow Planner produces the basis for all staff decisions, which is the accurate calculation of passenger demand at your check-points. 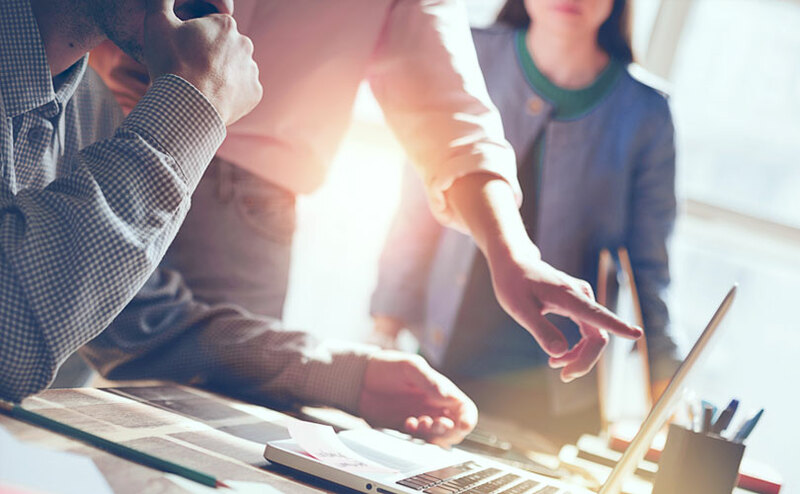 By communicating with your security provider, you can always send out the latest demand calculation and integrate the staff rostering from security to see whether the staff plans fit your SLA requirements. Anticipate your airport‘s future traffic for making the best decisions now. The future traffic at your airport is the basis for all planning. Based on Machine-Learning and Artificial Intelligence (AI) AMORPH.aero uses most modern technologies for high-quality predictions. 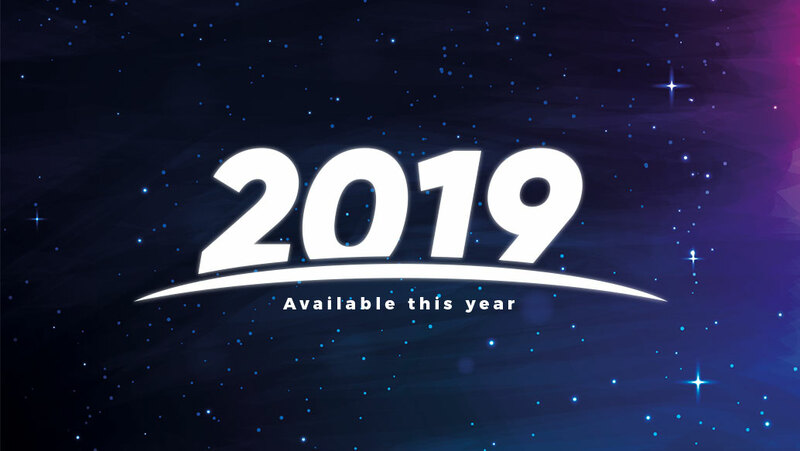 Future passenger destinations, aircraft movements and cargo shipments can be anticipated beforehand, in order to make todays’ decisions the best possible ones. Only with good forecasts, it is possible to set up a strategic plan for the upcoming years. How will traffic grow? Which kind of traffic will be there? Do I need to focus on an increasing transfer passenger stream for the future? With AMORPH.aero Traffic Forecaster we help to get answers and create the basis for your future investments. Maximize revenue streams with Advanced Analytics. Media & Retail are important revenue streams for airports. Therefore, it is necessary to show the dependencies between Terminal Management and Media & Retail. The unique combination of operational forecasting and retail analytics with AMORPH.aero enables our customers to make aligned decisions which are best for the airport environment. With AMORPH.aero our customers get in the driver seat to boost their revenue streams with advanced analytics methods and features. Real-time information like PAX numbers and nationalities fed to an operational PAX flow simulation model will ensure that advertisement & media is present in the form and language of the PAX nationality groups. In order to decide also on a retail and advertisement level, it is important to know upfront about flows and behavior of passengers. With Planning Studio and the resulting agent-based PAX flow simulation models, planners can identify the ideal passenger flow in order to maximize retail revenues. Perfectly manage daily changes in real-time. Daily changes are the norm at airports. Flight delays, gate changes, resource availability, all these have a direct impact on your operational performance. The mass of data and the complexity of interdependencies require a solution like AMORPH.aero to be able to react immediately and make decisions on a profound base for pro-active decision making! AMORPH.aero Flow Operations is designed to simulate all required checkpoints in your airport terminal. From Check-In to Bag Drop, Security and Immigration, Boarding and Transfer. Live data feeds keep you ahead of all changes and deviations in the flight schedule to preventively react before queues appear. AMORPH.aero Flow Planner gives you full visibility on all changes in your terminal. These could be for example changing staff availability due to illness and strikes. Flow Planner keeps you updated on the results to be able to react immediately. Simulation models developed in Planning Studio can be fed with operational data in order to perform DOO Mgmt. Keep queues small and fulfill your SLAs. Queue Management is an essential goal to gain passenger & customer satisfaction at airports. But, queue management is not only about measuring queue times, it is even more about predicting queues to prevent breaking your Service Level Agreements (SLAs). Queues are a result of a vital process based on passenger flows, resource allocation and performance. A real-time simulation-based engine like AMORPH.aero allows to perform Queue Management in a completely new way based on live airport data. From tactical planning for the next days ahead to seasonal planning! With AMORPH.aero you are always up to date regarding the flow of passengers and the required resources to process them in your airport terminal and keep queues at a minimum. In addition to Flow Planner, AMORPH.aero Flow Operations allows to perform queue management in real-time, i.e. based on actual live information from various airport IT-systems, as e.g. AODB, Flight Updates, PTMs, BCBPs. AMORPH.aero Planning Studio is the easy-to-use out-of-the-box planning solution that optimally supports daily work for an airport operations planner. Having a detailed passenger flow simulation engine at the core, the agent-based passenger behavior-oriented pedestrian simulation model of the airport serves as an ideal tool for Terminal Queue Management.